I don’t know about you, but during the holiday season the number of to-do lists I have running quadruples – at least! There are so many activities and events and other things that we all want or need to do during the holidays. And they all require some preparation and planning. 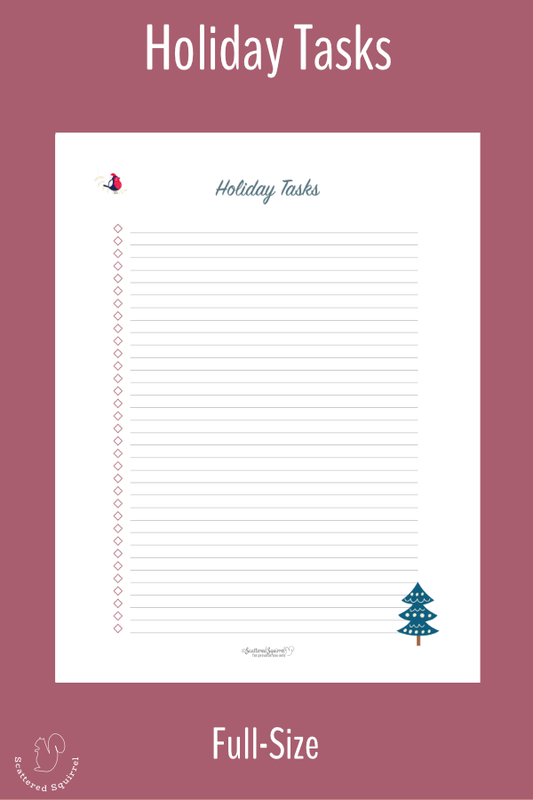 Starting your holiday to-do list early is a great way to get ahead of the chaos that you know will soon be coming, which will help reduce some of that holiday stress. Like I mentioned on Day 1, last year I had to start thinking about the holidays early. Being on crutches and still feeling tenderness from the bruised ribs meant that I was moving slower than a turtle. Every single thing I did took planning and forethought. I still remember the first time Travis (my husband) was away at work and we had no left overs or easy to cook meals in the house. I made chicken, rice, and mixed veggies for dinner that night. Simple. Easy. Boring. By the time I was done I felt like I had just cooked Christmas dinner. That was the night when I started to think that maybe I needed to start planning for the holidays early. I find this way of making list to be especially helpful when I’m feeling really scattered or when I’m feeling really overwhelmed. Getting those tasks out of my head and on to paper helps to calm my mind. I don’t worry about whether it makes sense or whether it is really something that needs to be done. I just write down everything that comes to when I think about the project. I did this last year when I started prepping for the holidays and it made a world of difference. So that is what we’re going to do today! Yesterday we made a list of all the thing we want to do for the holidays and we made a note of what we wanted to feel or how we wanted the holiday season to go. 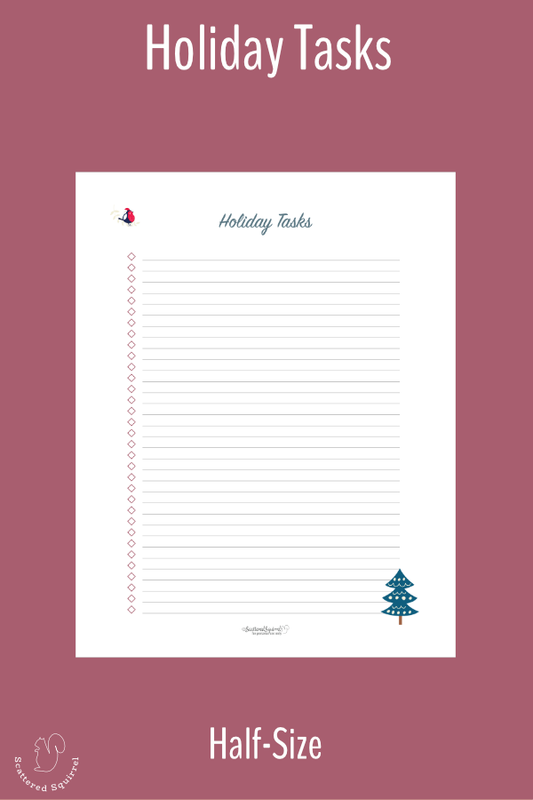 Today we’re making another list, and you know that I couldn’t resist making up a holiday to-do list printable to help us out. Click on the picture of the size you want to snag a copy of your own. For today’s list I want you to write down everything you think you need to do to get ready for the holidays. Meal planning, party planning, gift shopping, grocery shopping, supplies you need to buy for crafts, tickets you need to purchase for events – anything that comes to mind when you think about the up coming holiday season. What I don’t want you doing is thinking too much about it. As things pop in your head, write them down, even if they seem silly. This is just an exercise to help clear your mind and giving you a visual reference for when we fine tuning this list later. Trust me – it’s much better to take 10-15 minutes to write this list now than to try to remember what all you were thinking about later. It not only clears your mind, but sometimes it can show you things you might have overlooked on your holiday wants list. That’s it for today! I hope you’ll come back tomorrow when we tackle something a little more fun while we let these lists purcolate a bit. Head on over to the Facebook Group and see what’s happening there. If you want to share a picture of your list or you have any questions we’d love to see them all. 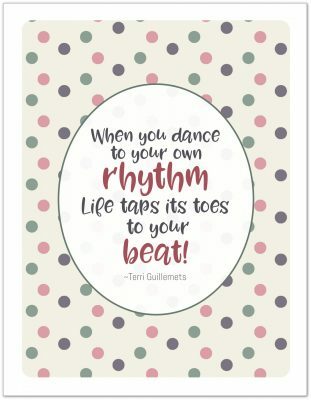 And if social media isn’t your jam, ask away in the comments here. I’ll try to answer them as soon as I can.